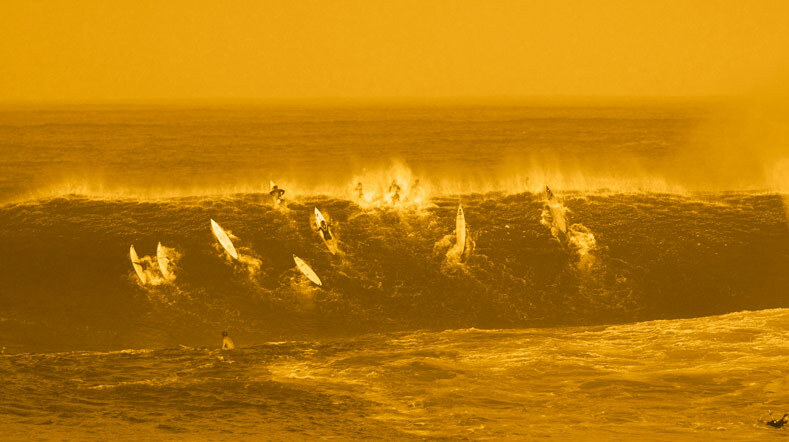 Organizers of the Quiksilver In Memory of Eddie Aikau big wave invitational at Waimea Bay, on the North Shore of Oahu, are on alert and monitoring a developing swell as the NW Pacific enters an active winter surf phase. The outlook is for an extra large swell to develop in the coming days that may hold potential for the event next week. "It's still early days," said the event’s Director Glen Moncata. "At this early stage we anticipate it may not deliver the intensity and power we require for this event, but we will get a clearer idea as it develops through the weekend. Our goal at this time is to alert our competitors and let them know we are keeping a close eye on this. The winds look good and the weather looks great. 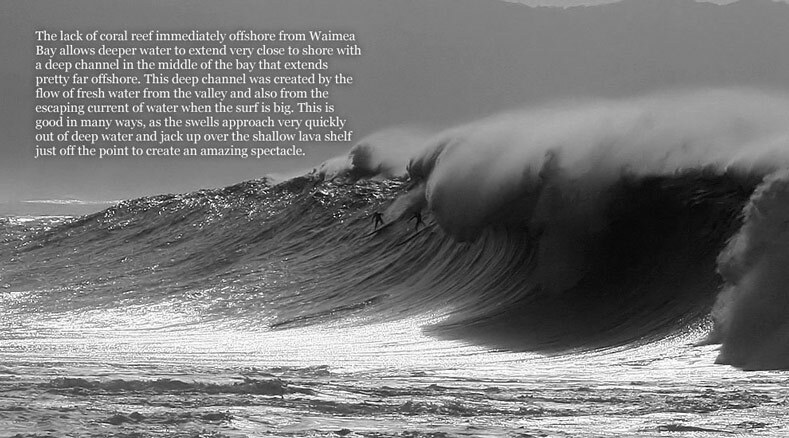 But it's all about the size of the surf for The Eddie. We will issue our next alert on Sunday." 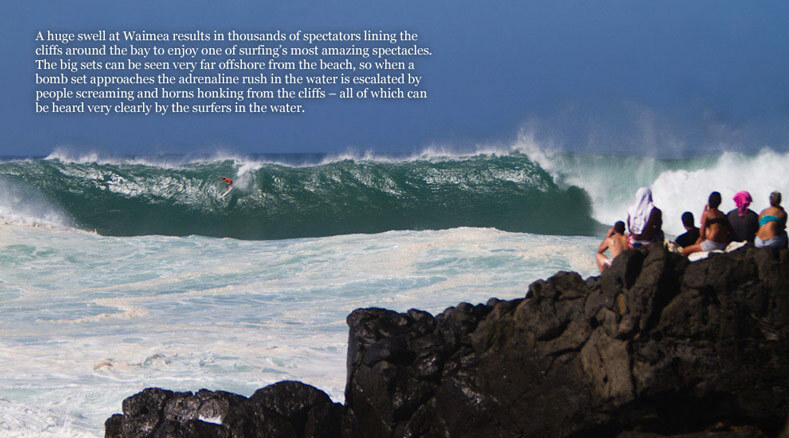 With competitors from as far afield as Brazil, Chile, South Africa and Australia, the Quiksilver In Memory of Eddie Aikau requires tight execution in order to gather surfers, make the right call, and run a single 8-hour day of competition in wave face heights that must maintain a minimum of 40 feet. 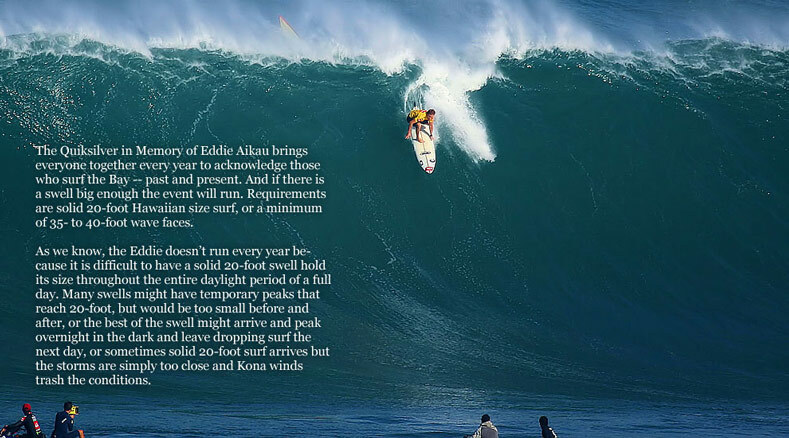 The Quiksilver In Memory of Eddie Aikau is the original big wave invitational and celebrates its 30th anniversary this winter. The last time this one-day event was held was December 8, 2009. 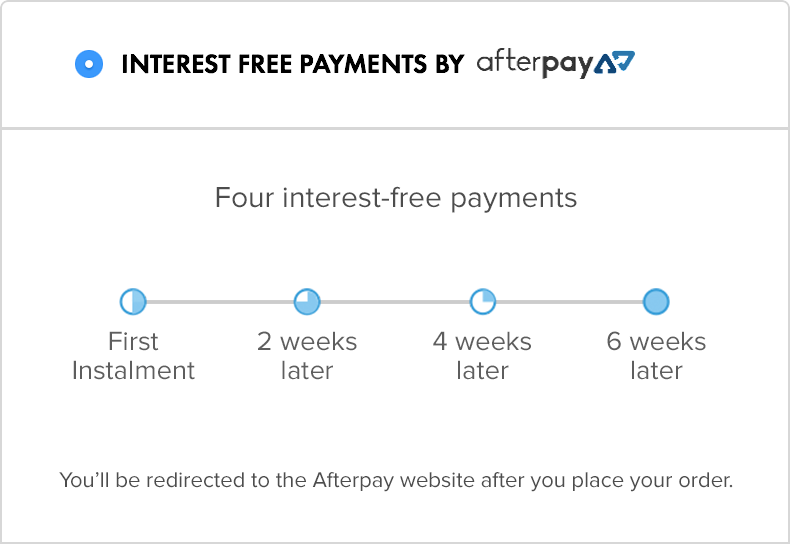 The holding period began on December 1, 2014, and runs through February 28, 2015.